There is more than one artist with this name: 1. Elysian is a melodic death metal band based in Melbourne, Australia. Elysian's music is powerful, driving and extremely confident - a blend of melodic death and progressive metal. They self-released their debut album on March 26th, 2012, entitled "Wires of Creation". It garnered unanimous admiration from critics in the weeks following its release. 1. Elysian is a melodic death metal band based in Melbourne, Australia. 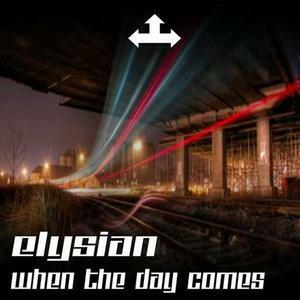 Elysian's music is powerful, driving and extremely confident - a blend of melodic death and progressive metal. They self-released their debut album on March 26th, 2012, entitled "Wires of Creation". It garnered unanimous admiration from critics in the weeks following its release. 2. ELYSIAN is Didier Colsoul (vocals/guitar), David Lefevre (guitar), Maxim Willems (drums), Sven Beyrus (bass) and signed to a Belgian record company: Green L.F.Ant records. They recorded their first album 'From Here Till Now' with producer David Poltrock (Hooverphonic, Monza). The first 2 singles 'True Signs' and 'These are the days' made it straight to national radio. Studio Brussels and Radio21 took up the songs in their daily play list. The third single 'If I could See Your Face' was also picked up by KinkFM in the Netherlands and found a spot in their play list. The song made it to number 13 in the Outlaw 40 list. The album was also released in Switzerland. They were programmed on several festivals in Belgium and the Netherlands and played in famous venues like the Ancienne Belgique and Le Botanique in Brussels. ELYSIAN recorded their 2nd album 'Blend' with producer Geoffrey Burton (Arno, PJDS). Their love for beautiful melodies did not change. The album represents a mixture of rock and pop. The album was released in November 2005 in Belgium. The first single was the song 'How Can I Forget'. The video was recorded on 35mm camera by Kodak Belgium. The video went straight to number 5 on JIMTV (Belgian music channel). The video stayed in this chart for 12 weeks. The video also entered the play list of TMF (owned by MTV). ELYSIAN has a strong live reputation. ELYSIAN was programmed on several outdoor and indoor festivals in Belgium and Holland.